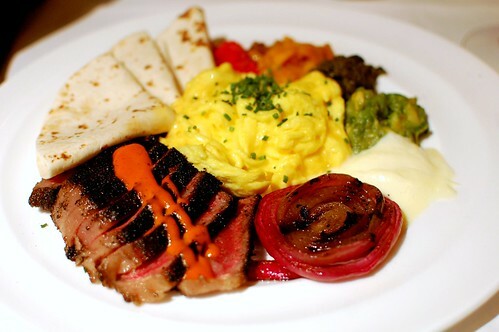 I love brunching at Mesa Grill. 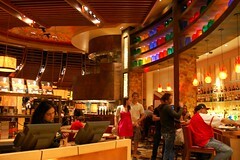 I've blogged about it before, but I'm going to share some more dishes with you from our meal with the Cruisers. More food! More pics! 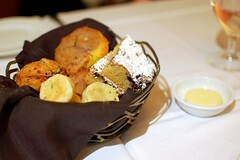 The complimentary bread basket was epic as usual. This alone is almost worth a visit. 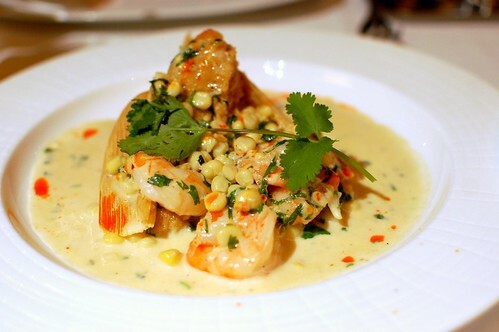 Tiger shrimp and roasted garlic corn tamale, corn, cilantro sauce ($15). 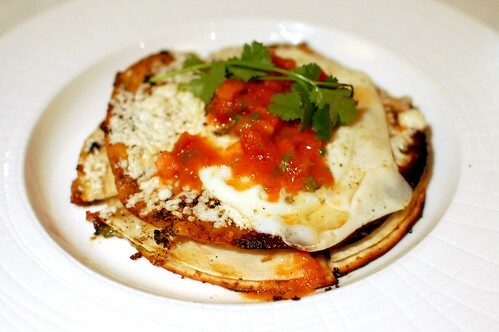 Crispy bacon and hash brown quesadilla, fried egg, spicy tomato salsa ($14). 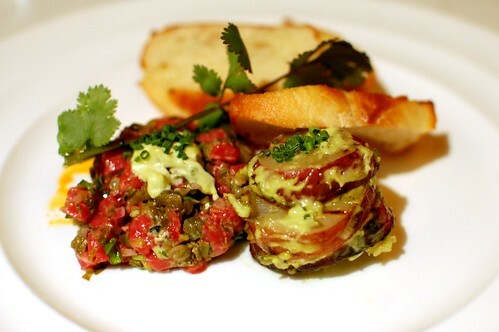 Spicy beef tenderloin tartare, green onion potato salad ($16). 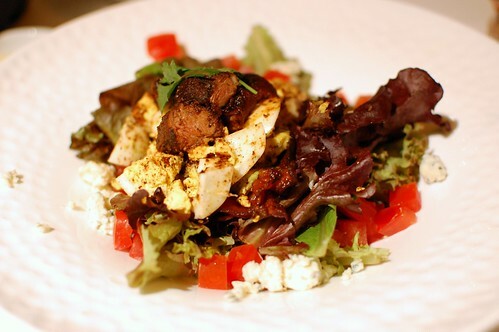 Sixteen spice chicken salad, goat cheese, green onion vinaigrette ($16). 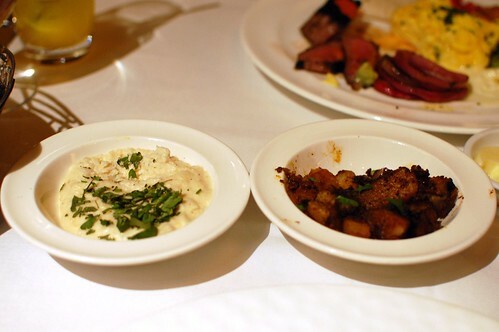 All egg entrees come with your choice of creamy grits or Southwestern home fries. 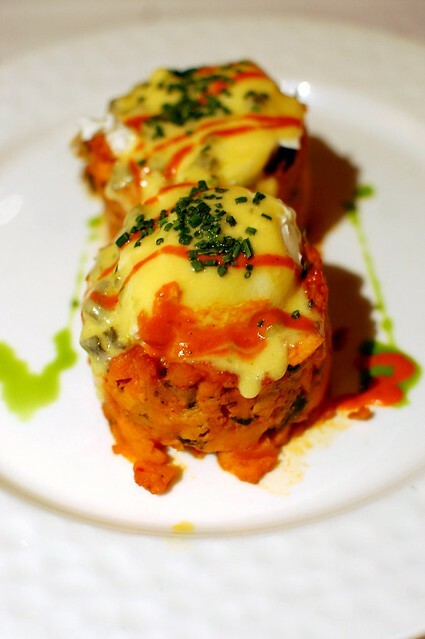 Spicy chicken and sweet potato hash, poached eggs, green chile Hollandaise ($18). 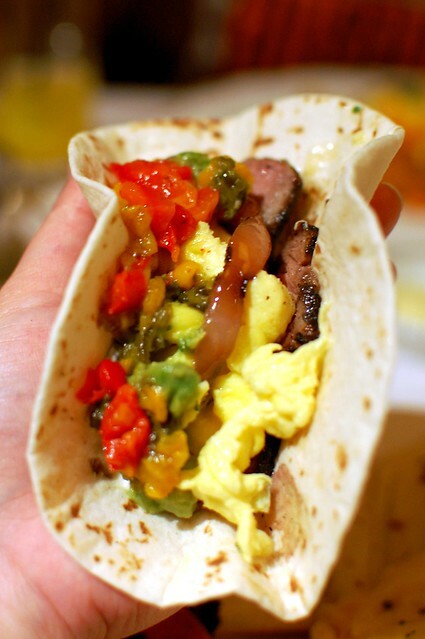 Eggs and aged striploin tortilla, grilled red onions, roasted peppers, avocado relish ($24). Everything was as good as it looks. Well, except for the salad. It was a salad. Ms. Cruiser ate that. That's why she is hot. Yummy. I'd probably love the salad the most. I've had dinner there but would love to try brunch. 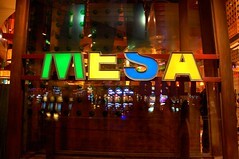 We've done Mesa Grill for dinner a number of times because it's J's favorite, but we've still never been for brunch. i love mesa grill for brunch. got the sweet potato hash thing last time. the leftovers were even tastier as the flavors had time to develop even more. 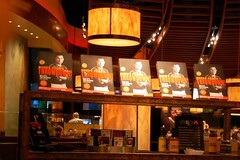 I've only dined once at a Bobby Flay restaurant...and it was brunch at Mesa Grill. Must say I was pleasantly surprised.That spice chicken hash looks fantastic, and everything is so colorful! i was drooling over the shrimp until "cilantro sauce."